Visit to two neighboring countries that develop in this place an asset international trade. 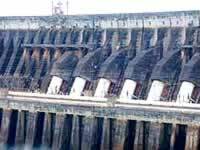 Also, it visits to the biggest it dams hydroelectric of the world. They are 6 km until the Brazilian city, 12 km until the Paraguayan city and 18 km until it dams it on the river Paraná, everything for paved roads. It should be made steps of Customs and Migration, the open international crossing the 24 h.
Leaving the center of Port Iguazú for the Av. Victoria Aguirre you arrives to the round that, to the left, it drives toward the International Bridge Tancredo Nev on the river Iguazú. Before arriving to this spends in front of the Casino Iguazú and to the Building of Customs and Argentinean Migrations, today without use. Crossing the bridge you arrives to the Brazilian city of Foz do Iguazú. Immediately after the bridge is the Service of Customses and unified Migrations of Argentina and Brazil , open the 24 h. The highway advances then for an area with great tourist infrastructure that includes the hotels Palace , Carimá Bourbon and Lanville Palace , to enter to a city more populous five times that Port Iguazú. With varied hotels and restaurants, it is also specially attractive for trips of purchases, for the great quantity of existent trade. Foz of Iguazú is a cosmopolitan city, In her towns of 57 of the 192 existent nationalities live in the world. For their streets Arab, Chinese, Latin American, Bolivian, circulate Moroccans, Armenian, angolanes, Japanese, Korean and so many other foreigners that contribute to make of Foz a city of multiple personalities beside Brazilian of all the songs of the country. The miscellany of so many towns that today constitutes this racial mosaic was still a registered tendency in the period of the colonization of the region. Of the 324 inhabitants of the then inhospitable territory, in 1889, 212 were Paraguayan, 95 Argentineans, nine Brazilians, five French, two Spaniards and an English. The economic cycles that were happened from the beginning of the century and the promise of prosperity were attracting more and more Brazilian and foreigners to the region. Today, the Arab communities and Chinese are the most significant. From Foz do Iguazú, after crossing the International Bridge of the Friendship on the river Paraná, and after carrying out the same mentioned steps it can visit one another the Paraguayan city of Ciudad del Este. The Park of the birds is located in the Rodovía you give Waterfalls, km 11, telephone-fax (45) 523-1007. opens up daily, of 8h30 o'clock until the 19 hours. Their more than 100 nurseries exhibit near 700 birds of 160 species, coming from the five continents, mainly of the África and of America of the South. 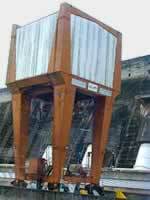 Two of those nurseries embrace more than 600 square meters , inside which you can circulate and until playing the birds. Real, plow-blue turkey, flamingos, parrots of all the types, toucans and tuyuyúes are hardly some of the copies exposed in the park. The access to those enclosures is facilitated by a kilometer of paths in the means from the adjacent forest to the park. The Park of the Ave is particular and it invests in investigations in the reproduction area, inclusive of species in extinction. The structure also has cafeteria and sanitariums. 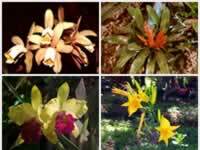 The Zoological Guarani Forest , one of the most important recreational spaces for the local population, is also very converged by the tourists. 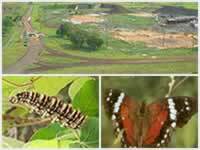 There they are exposed more than 350 animals of different species in an area of 4,5 hectares . The complex has three small lakes, infantile games, a cafeteria and an amphitheater, where chats of environmental education are offered. 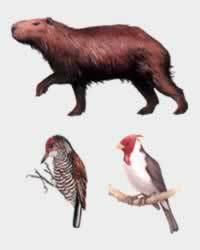 The zoological one is located in the Rua Tarobá, s/n° (I center), tel. (45) 521-1000. Open of Tuesday to Sunday, of 9 o'clock until the 17 hours. The entrance is gratuitous. Access for the Rodovia gives Waterfalls, 5 kilometers after the entrance to the National Park of Yguazú . It works daily, inclusive traded, of 8 o'clock up to 17h30 o'clock. Informations for the telephone (45) 574-4244 (in the forest), (45) 523-0113 (desk) and fax (45) 574-4717. With 552 extension meters, the bridge is located in the end of the BR-277 and it unites Foz of Yguazú and City of the East ( Paraguay ), facilitating the access until Asunción for the Route 1. From the high of the bridge we can see to the Island more detailedly Acaray that belongs to the Marina Brazilian. 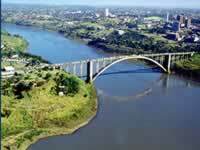 The bridge was inaugurated March 27 1965 by the presidents Castelo Branco, of the Brazil , and Alfredo Stroessner, of the Paraguay . To only 18 km of Port Iguazú, is highly a city commercial, with character of «international free port». In their more than fifteen thousand local of sale and about six thousand five hundred positions «informal» street, distributed in some twenty central apples, they can be the most varied cared products in any origin. It is a city-bazaar that is worthwhile to know. About 12 kms to the north of Foz of Iguazú will be able to visit one of the biggest engineering works in the world. 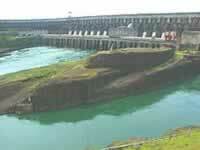 It is the it dams hydroelectric of Itaipú. 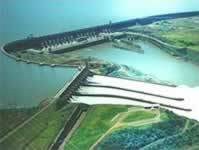 Built on Paraná River, in the frontier with Brazil and Paraguay, with installed power of 12,600 MW, Itaipú Hydroelectric Factory is responsible of generating 25% of the Electric energy used in Brazil and of 95% of the energy used in Paraguay. 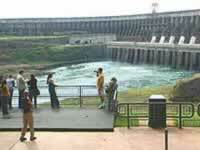 Thanks to the imposing engineering work, Itaipú has become a great touristic attraction in Foz de Iguazú. Video displays and an interesting guide tour around its building will help the visitor find a beautiful panoramic view from the central vantage point to the lake formed by the dam. One can observe the diversion channel, the worker's wall paint and the worker's wood where each employee that has worked for the company for 15 years plants a tree. Appart from that, in the area of the lake, there is an important touristic offer, and one can enjoy water activities or sport fishing. 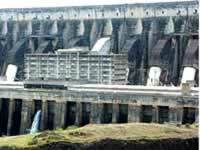 The pace of construction of Itaipú was equivalent to the construction of a 20-storey building every 55 minutes. 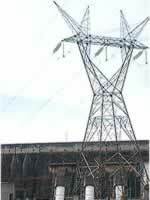 With the total amount of concrete used to build Itaipú, 210 stadiums like "Maracaná" of Rio de Janeiro could be built. The size got by the rock and digged soil is equivalent to more than twice the size of "Pan de Azúcar" in Rio de Janeiro. The iron and steel used in the construction would be enough to build 380 times Eiffel Tower in Paris. Itaipú drain can drain 62 million liters per seconds, 40 times the amount of Iguazú Falls. Timetable for visits to the Central Building: Mondays to Saturdays at 8:00a.m., 9:00 a.m. 10:00a.m.,2:00, 3:00 and 3:30 p.m. Timetable for visits to Itaipú Eco-Museum: Mondays from 2.00 to 5.00 p.m. Tuesdays to Saturdays from 9.00 to 11.30 p.m. and from 2.00 to 5.00 p.m.
Other Nationalities: passport with Brazilian Visa according to International Agreements in force. Green Card of the vehicle with name of the owner. 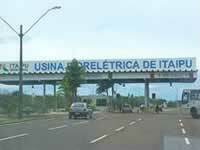 If the vehicle does not belong to the tourist, authorization by the owner signed at a Notary´s office. According to a Law inforced in Argentina in 1980, it is compulsory to have the licence number engraved in windscreens for vehicles from Argentina. If you travel with children, you must take Marriage Book or Birth certificate of them. If only one of the parents travels with a childre, he must take an authorization signed by the other parent at a Notary´s office. If the child travels without any of his parents, he will have to take an authorization signed by both parents at a Notary´s office.